Having just done Sicilian literature, I thought that this might be a good time to turn to Italian literature as whole, not least because it is cold, wet and miserable and outside and this will remind me of sunny Italian skies. 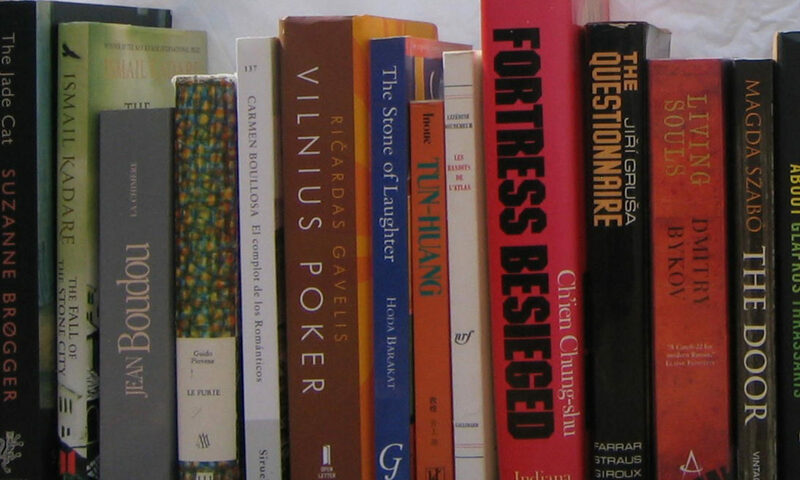 I learned Italian for one major reason – to read Dante in the original. Dante did not found Italian literature. Before him, there were poets such as St Francis of Assisi and prose works such as the Novellino But it is Dante who is the first great Italian writer. It is Dante who fixed Tuscan as the national Italian language. And it is Dante who wrote one of the great epics of world literature. The Divine Comedy is both a great religious epic, a love story and a political attack and works on all three levels. 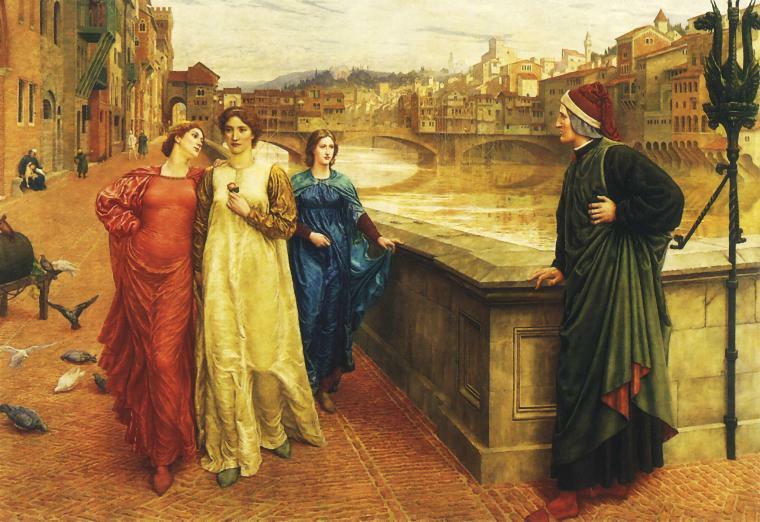 We will never know whether Dante really met Beatrice, as Henry Holiday’s painting above is pure fantasy, but it does not matter. She became the love symbol and queen of his great poem. If you don’t read Italian, you might want to try the Dorothy L Sayers (yes, the detective novelist) translation. Dante may well have been the greatest Italian writer but he was quickly followed by other great writers. 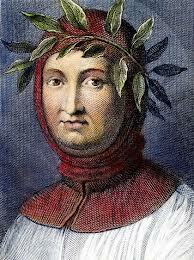 Petrarch is the second greatest Italian poet. 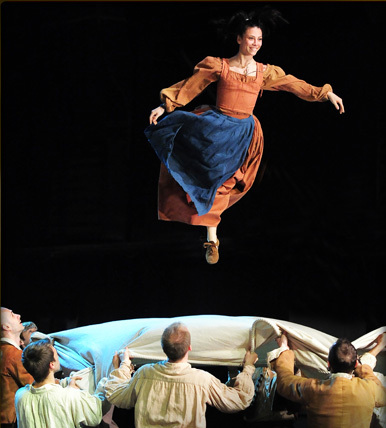 He, too, had his Beatrice – her name was Laura de Noves. And, like Dante, he was a major influence on what is now standard Italian. The third great fourteenth century Italian writer is Giovanni Boccaccio. Though he was also a poet, Boccaccio is best known for the Decameron, a collection of one hundred assorted tales, some bawdy, some not. The tales were borrowed by many later writers, though it is believed that Boccaccio took most if not all of the tales from existing sources. 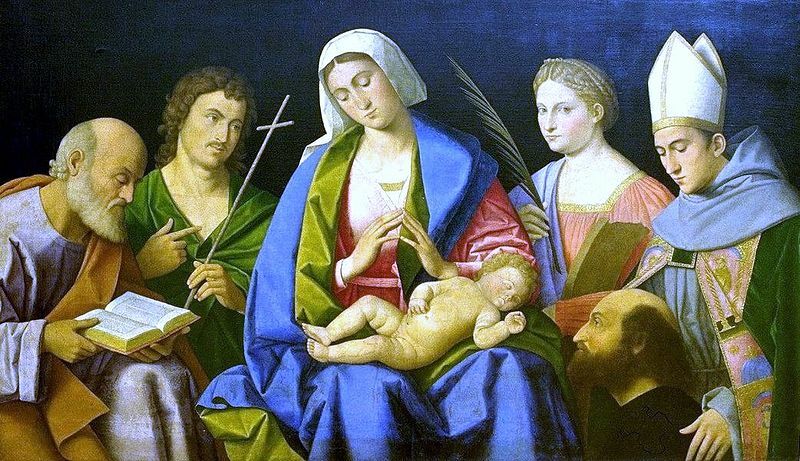 The fourteenth century was the highlight of Italian literature and things seemed to fade a bit for a while, as Italian painters and musicians came to the fore. Things livened up a bit in the sixteenth century, starting with Ariosto, famous for his epic poem Orlando Furioso, about Roland (Orlando is the Italian for Roland). He was followed by Torquato Tasso, who wrote the epic poem Gerusalemme liberata (Jerusalem Delivered). But the sixteenth century also gave us perhaps the most famous Italian writer, after Dante, Niccolò Machiavelli, author of the Il Principe (The Prince) but also of the very funny play La Mandragola (The Mandrake). The seventeenth century saw Galileo, Monteverdi, Caravaggio, Bernini and Corelli but the writing was not up to the same standard. Things were not much better in the next century though it did produce Goldoni, best known in the English-speaking world for his play Arlecchino servitore di due padroni (Servant of Two Masters), adapted for the British stage as One Man, Two Guvnors. The nineteenth century produced a great poet and a great novelist. The great novelist was Alessandro Manzoni, author of I Promessi Sposi (The Betrothed), one of the great nineteenth novels (and on my list of Best 19th century novels) but sadly not well enough known in the English speaking world. Edgar Allen Poe liked it. It is readily available in English. The great poet was Giacomo Leopardi. His Canti are poetry at its finest, hymns to beauty and nature. My favourite is La Ginestra ((Broom) (English translation here ). The nineteenth century also produced Giovanni Verga, whom I mention in my post on Sicilian literature. Giosuè Carducci was the sixth person to win the Nobel Prize for Literature and the first Italian but he really was not very good. This is a very brief survey of Italian literature before, more or less, the beginning of the twentieth century. Italy certainly produced some of the great poets but, as for novelists, there are really only two of any note – Manzoni and Verga, mentioned above, neither of whom is particularly well known in the English-speaking world. It should be borne in mind that, till the latter part of the nineteenth century, Italy was not a unified country but controlled by various foreigners. This meant, for much of the period, there was not a unified language but various dialects of Italian, often not mutually intelligible. It is only really in the twentieth century that we can really start thinking of Italy as a unified country and, with that unification, comes a first-class literature, primarily (though not exclusively) based on the Tuscan dialect of Italian. This will be the subject of a later blog post.